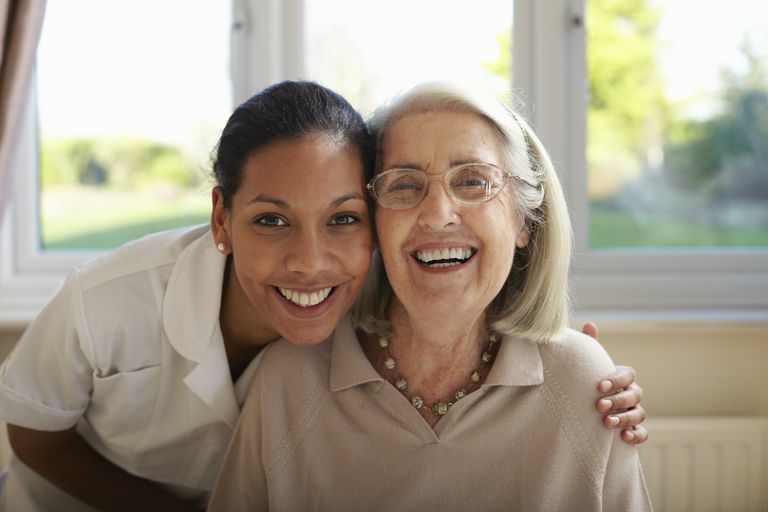 Whether you're a paid professional or a volunteer family caregiver for someone living with dementia, you probably spend a lot of your time making sure your loved one or patient is getting all of her needs met. You may think about ensuring adequate nutrition, making sure the medications are taken, keeping her skin clean and dry if incontinence is an issue, physical exercise, mental stimulation and social interaction. Sometimes, as caregivers, we might be checking things off in our mind, or on paper, documenting our progress toward her goals that have been set. But have you ever considered how much (or little) time you spend providing touch that is not part of her daily care? How about touch when you are not doing something to her or for her, when you're not providing some kind of care to her? Just a hug around her shoulders for no reason? We all need some TLC, and the person with dementia is no exception. While she might not be able to express her need for touch in words or, in late stages of dementia, even initiate a hug, touch is important. Consider studies that demonstrate that solely meeting the physical needs, but not providing much physical touch, for infants in orphanages can cause babies to develop a failure to thrive condition. Matthew J. Hertenstein, Ph.D, a professor psychology at DePauw University, has conducted research and written extensively about people's need for, and the benefits of, touch. Some of that research is on babies and how they respond positively to touch, even in the neonatal units of the hospital, and other articles focus on the benefits to adults. Several research studies have identified physical benefits to touch, including lowering blood pressure, decreasing pain, improving mood, and decreasing stress-related cortisol and heart rates. Touch can also benefit people with dementia by calming them. One study which involved 68 nursing home residents with dementia demonstrated that those who received hand massages for 10 minutes showed significantly reduced agitation compared to those who received no intervention. Be sure that you're respecting the person you're working with, including their preferences for physical touch or lack thereof. If someone is quite angry, frustrated, highly agitated or experiencing paranoia or delusions, use caution in approaching them or entering their space since a catastrophic reaction is possible. Additionally, if there is a history of abuse or neglect, use care to ensure that your touch is welcome, not misinterpreted and is in the presence of others to avoid any concern for the person with dementia. While we do need to use caution in our litigious society, that should not stop us from caring for and nurturing those who are entrusted to us.